Indeed, there are some photo slideshow with music maker programs that can be used to make a slideshow with music. Read the post carefully to find out how to make a slideshow with music. Freemake Video Converter is a professional video converter, and it additionally offers an easy solution for user to create beautiful photo slideshows with music, turning photos and musics into a photo slideshow with music for PC, iPhone, iPad, YouTube, DVD player, etc. Before you start to create slideshow with music, you should download and install Freemake Video Converter on your PC, and launch it after installation. On the main interface of the program, you should click “+ Photo” button on the sub-menu to import the source photos. Click on your slideshow to open the editor. Add an audio track from your computer. Add panorama effect or shuffle pictures and click “Ok” when you’re done with photo slideshow. Select an output video format or gadget for your photo slideshow – AVI, MP4, MPEG, MKV, WMV, iPad, Android, etc. Leawo Video Converter Ultimate is another professional slideshow with music app enabling users to create a photo slideshow with music. 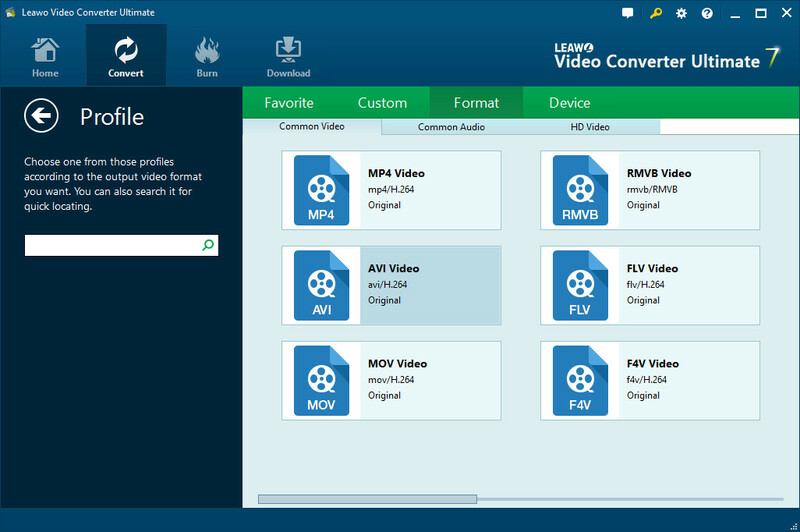 With Leawo Video Converter Ultimate, people could easily make a picture slideshow with music. 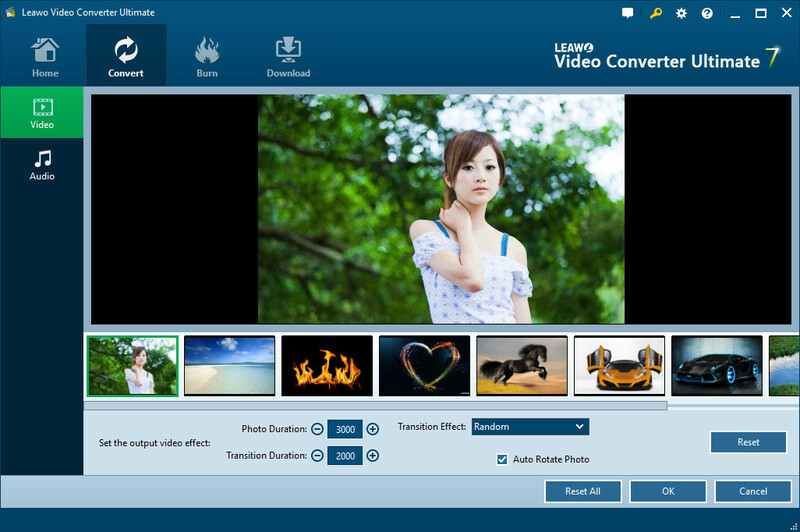 The internal photo slideshow maker software inside Leawo Video Converter Ultimate offers the best photo slideshow making solution for people to create slideshows with personal photos and songs. It could easily finish the photo slideshow making task in a better way than other free photo slideshow maker software apps. Download and install this photo slideshow maker software. Mac users should turn to its Mac version. After the installation, follow the steps below to know how to make photo slideshow with music. Switch to “Convert” module on the submenu after you enter the main interface of the best slideshow with music maker. 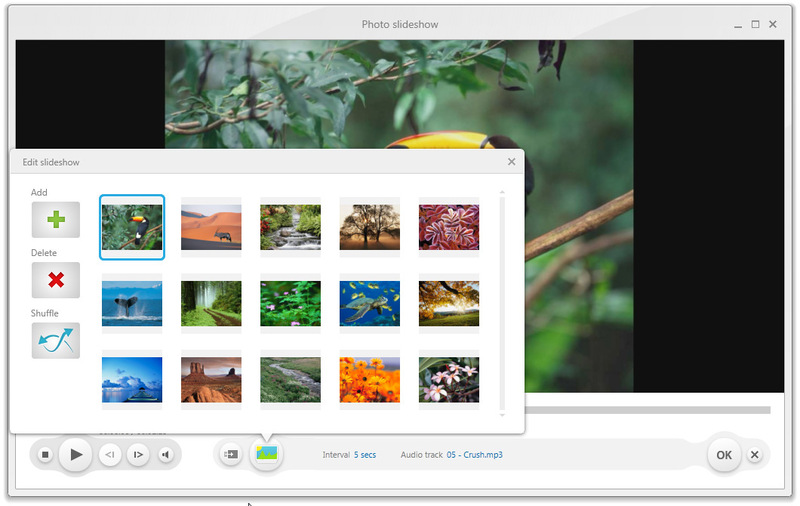 Click the “Add Photo” button to browse and add photos you want to turn into slideshows into this photo slideshow maker. Selected photos would be automatically generated into a photo slideshow upon loading. You could click the thumbnail icon to play back generated photo slideshow. Open the “Audio” panel on the editing panel. You could click the “Add Music” button or directly drag music from your computer into generated photo slideshow. You could drag one or several songs as background music, change music position and adjust output audio effect. Next to the “Add Photo” button, click the drop-down box (named “MP4 Video” by default) and select “Change” option to enter the Profile panel, on which you could select profile as output format. MP4 is recommended as it is well compatible with most media players. Others convert and edit videos, burn DVDs,etc. convert and edit videos, convert and edit Blu-ray/DVDs, burn Blu-ray/DVDs, download online videos, etc.